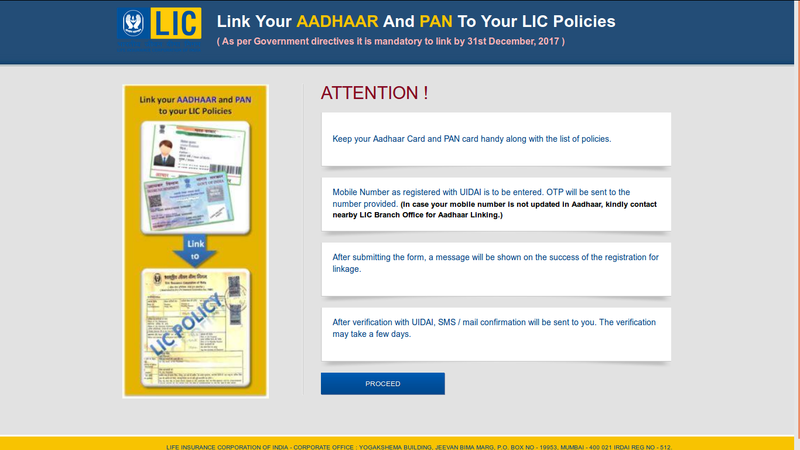 Open http://www.licindia.in/ in your browser to directly go to the Aadhar linking page on LIC website. Click on the Proceed button at the bottom. You will see a page as above. 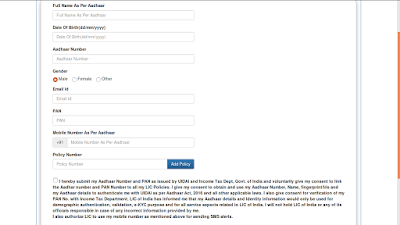 Enter your full name, Date of Birth, Aadhar card number, select gender, enter email ID, PAN card number, mobile number (the one registered with Aadhar)and finally the policy number. If you have more than one policy, click on the Add Policy button to generate another row for entering another Policy ID similarly for each policy, generate one row. Click on the check box if you agree with the declaration. You should be redireted to a new page showing you the summary of the details entered by you and at bottom you will be asked for the OTP. Enter the OTP and click on Submit. That's it! 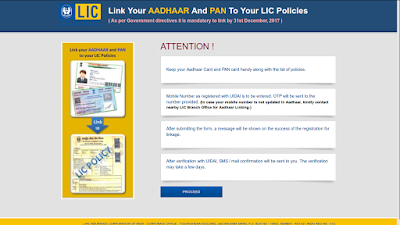 Now your Aadhar has been sent to the LIC team for processing and they will verify the Aadhar and policy details and link it for you. 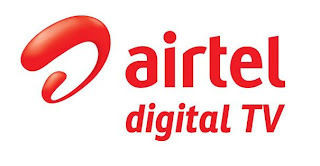 Let me know if you face any issues through the comment section and I will try to resolve it ASAP!